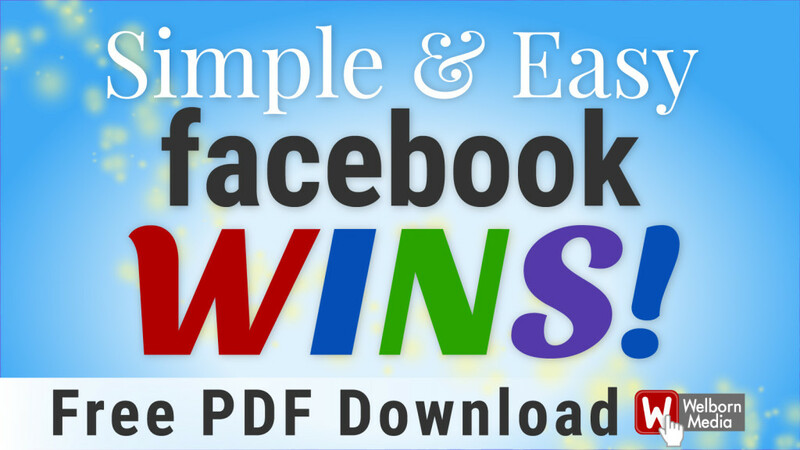 Download our free guide, Simple and Easy Facebook WINS. This includes amazing tips for those who have set up a Business Page, but are not necessarily using it. You don't have permission to access the requested resource. Please contact the web site owner for further assistance. Try out our tips and let us know what kind of response you get. Email Zeb@WelbornMedia.com or post a comment on our Facebook Page! The Biggest Mistake I Ever Made Using Facebook for Business - Coming Soon! If you have any questions about our Facebook for Business Online Courses contact me. Did you try our Simple and Easy Facebook WINS?